The 2017 Ford Explorer features third-row seating designed to maximize your ability to transport many passengers as comfortably as possible. Whether you’re going on a family road trip or out on vacation with your best friends, the 2017 Ford Explorer delivers the experiences you crave with your loved ones. Read on to learn more about the 2017 Ford Explorer and test drive it today at Glenwood Springs Ford! There’s a reason the Ford Explorer is one of the best-selling SUVs on the market and why it has been for nearly three decades. This SUV offers incredible value, American-made automotive power, cutting-edge technologies, and unparalleled interior comfort that few vehicles on the market are able to match at this price point. It’s also Reader’s Digest Most Trusted SUV Automotive Brand. How’s that for confidence? With a standard roof rack for going off-road, rear skid plate elements, and available LED signature lighting with fog lamps, the Ford Explorer can take you on adventures few vehicles have access to. This exclusive design also incorporates new colors for 2017, including Canyon Ridge, Smoked Quartz Tinted Clearcoat, and White Gold. The 2017 Ford Explorer’s available 2.3L EcoBoost® engine delivers a thunderous 280 hp and 310 lb-ft of torque. With its twin-scroll low-inertia turbocharger, you’ll experience faster acceleration and greater fuel efficiency designed to save you money without sacrificing excitement. Combined with the latest technologies like FordPass, which allows you to easily stay up on scheduled maintenance, you’ll be the smartest driver on the road. The Ford Explorer has much to offer for drivers in the Glenwood Springs area. To see it in action, visit our dealership today to take it for a test drive. At Glenwood Springs Ford, we also offer flexible financing options designed to help you afford the right vehicle for your needs. Contact us to learn more. 2 comment(s) so far on Does the Ford Explorer Have Third Row Seating? I do not want third row seating – do all new explorers have 3rd row seating? Thanks for the question, Jenny! The Ford Explorer does have third row seating standard. 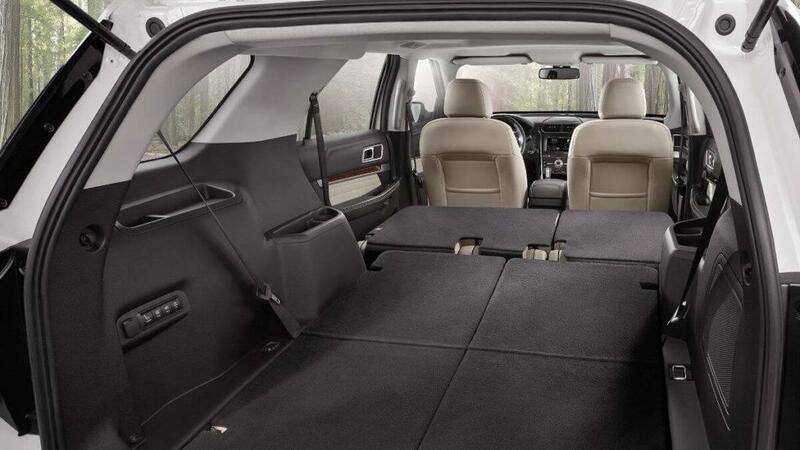 If you want a similar vehicle without Third Row seating, we’d recommend the Ford Escape.